Our product range includes a wide range of air quality mq-135 gas sensor, alcohol sensor mq-3 gas sensor and carbonmonoxide mq7 gas sensor. Sensitive material of MQ135 gas sensor is SnO2, which with lower conductivity in clean air. When the target combustible gas exist, the sensors conductivity is more higher along with the gas concentration rising. Convert change of conductivity to correspond output signal of gas concentration. MQ135 gas sensor has high sensitivity to Ammonia, Sulphide and Benzene steam, also sensitive to smoke and other harmful gases. It is with low cost and suitable for different application. Used for familiar, surrounding environment noxious gas detection device. Apply to ammonia, aromatics, sulphur, benzene vapour, and other harmful gases/smoke, gas detection, tested concentration range: 10 to 1000 ppm. 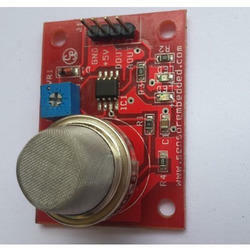 This alcohol sensor is suitable for detecting alcohol concentration on your breath, just like your common breathalyzer. It has a high sensitivity and fast response time. 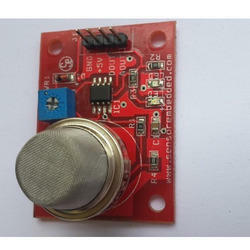 Sensor provides an analog resistive output based on alcohol concentration. The drive circuit is very simple, all it needs is one resistor. A simple interface could be a 0-3.3V ADC.